Minister of Defence Aleksandar Vulin visited the members of the Serbian Armed Forces who are conducting a live tactical exercise “OTTER 2018” in Taraš near Zrenjanin, this morning. The exercise includes the participation of reconnaissance, infantry, mechanised and rocket units of the 1st Army Brigade and pontoon, amphibious and river units of the River Flotilla. 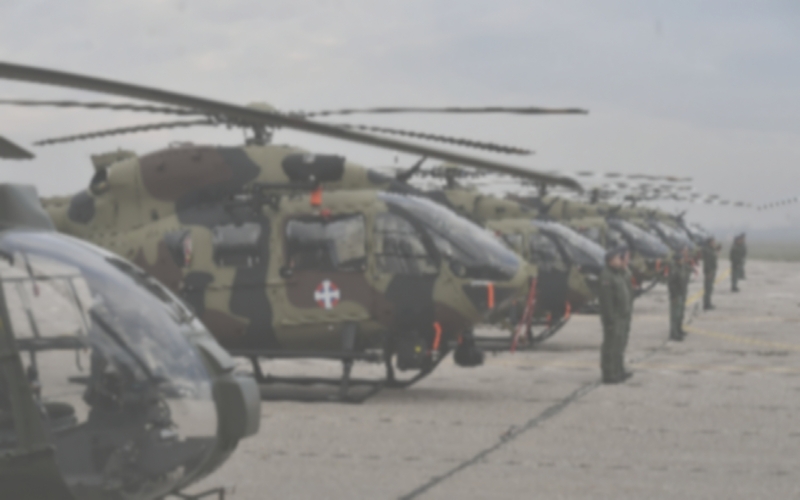 According to the minister of defence, and in line with the order of the Supreme Commander of the Serbian Armed Forces Aleksandar Vučić, all the branches and arms of our armed forces have to be enhanced, modernised and they have to be able to discharge all their tasks. – That is precisely why our River Flotilla as well is in the phase of modernisation and further improvement and I am pleased to say that this has been the greatest modernisation of the River Flotilla in the last 25 years. We have enabled that four of our minesweepers are modernised to significantly higher level, and equipped with new weapons, new fire management systems, new radar systems and everything else that makes them modern and capable of executing their tasks. Every part of our territory has to be and is protected by the Serbian Armed Forces and every asset of ours has to be ready to respond to challenges in front of us – stated Minister Vulin. Commander of the River Flotilla Captain (N) Andrija Andrić pointed out that on that day, the units of the 1st Army Brigade and River Flotilla launched an attack with forced river crossing from right to left bank of the river Tisa. – The objective of the exercise is to train the command and units of river detachments and pontoneer battalion to prepare river assault and defend the waterway of the units for the attack with forced river crossing – stressed the Commander of the River Flotilla and added that the exercise was preceded by several days long training of reconnaissance, infantry, mechanised and tank units of tat the training ground Mačvanski partizanski odred on the Sava river in the region of Šabac. The live tactical exercise OTTER 2018 was attended by the Army Commander, Lieutenant General Milosav Simović.